I am so excited to be reviewing the newest cookbook, “The Magical Slow Cooker” by Sarah Olson. Sarah’s Food Blog is called The Magical Slow Cooker also. Let me tell you how much I love cookbooks, I have a huge collection, around 500 cookbooks that I love and use and am inspired by. This cookbook is a treasure that I know I will be using a lot! I want to try every recipe in the cookbook. Not many cookbooks grab my attention like The Magical Slow Cooker cookbook. It is 215 pages, soft cover, with beautiful photography and easy to make recipes. When I first flipped through the cookbook, I found that the recipes are easy to make and didn’t have a long list of ingredients. This cookbook is written for Busy Mom’s in mind, just set your slow cooker in the morning and come home to a delicious meal fully cooked, ready to be served. I want to make everything I see!! My husband picked out a half dozen recipes that he would like me to make! 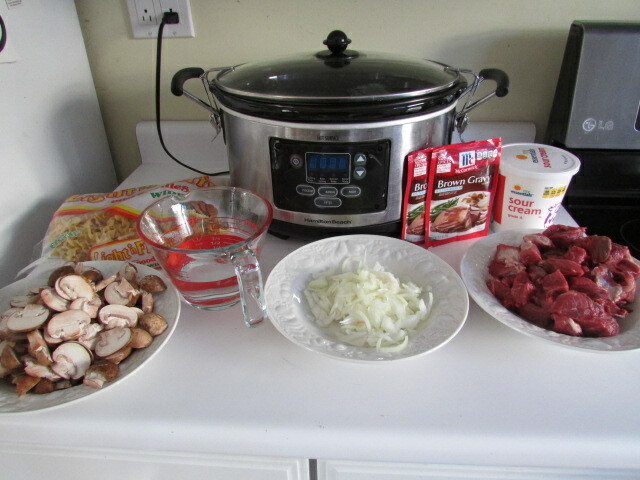 I chose to make the Sour Cream Beef Stroganoff and it was a hit, my husband loved it so much that he requested it for his birthday dinner. He said it was the best Beef Stroganoff he has ever had! Wow! That is saying ALOT!! What you will need: Beef Stew Meat ( I like buying a roast and I cut up the meat myself, choose a roast that doesn’t have a lot of fat and it doesn’t have to be an expensive cut of meat if you are using a slow cooker) , diced onion, Sliced Mushrooms ( I used Portabello mushrooms), gravy mix, water, sour cream, cooked egg noodles or rice. 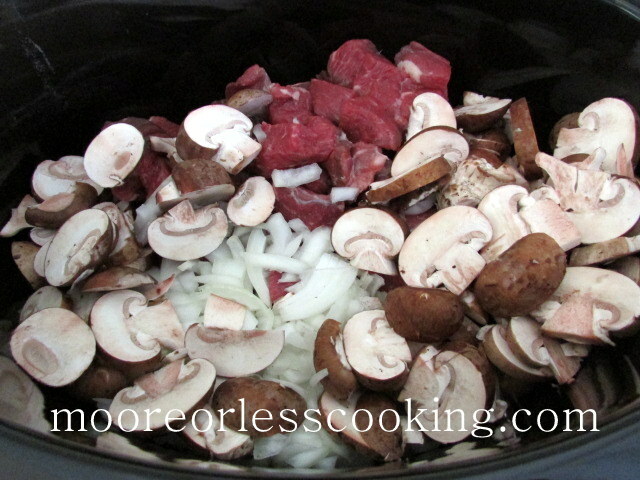 Add the stew meat, onions and mushrooms to the slow cooker. Pour Gravy mixture over meat, onions and mushrooms. Cover and cook on LOW for 8 hours. DO NOT OPEN THE LID! Delicious and comforting! Sour Cream Beef Stroganoff. You will be so happy to come home after work to this delicious meal! 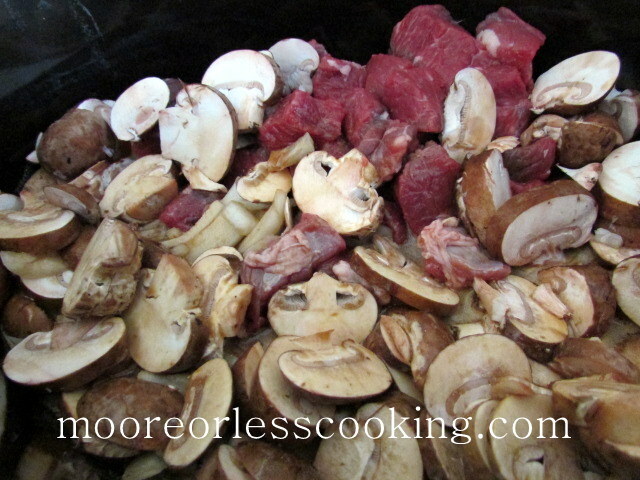 Add the stew meat, onions, and mushrooms to a 4 quart or larger slow cooker. 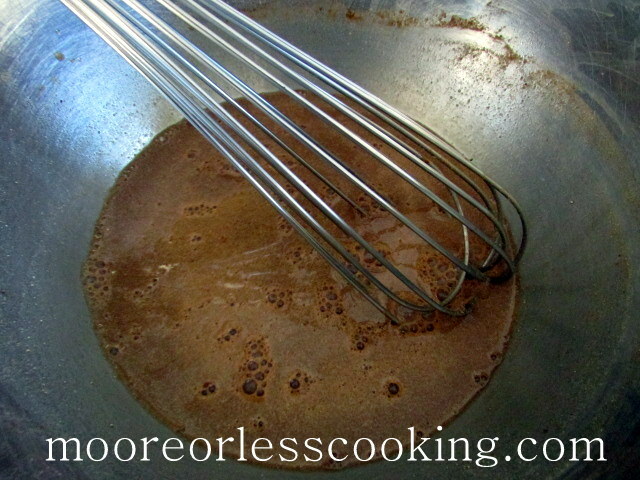 Whisk the gravy mix and water in a small bowl, pour into slow cooker. Cover and cook on LOW for 8 hours, DO NOT OPEN LID while cooking. Stir in the 1 1/2 cups sour cream, and ladle the stroganoff sauce over warm noodles or rice. Syndi, if you are on pinterest you could pin it or save in your favorites, click the star in the URL. 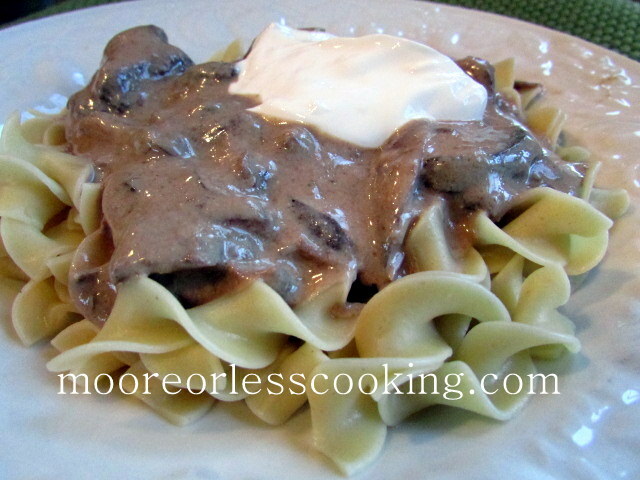 Your Beef Stroganoff looks amazing, Nettie! I loved the Magical Slow Cooker as well. Sarah’s book is a fantastic resource! Yum sounds like a great easy meal. Excited to try the beef stroganoff!